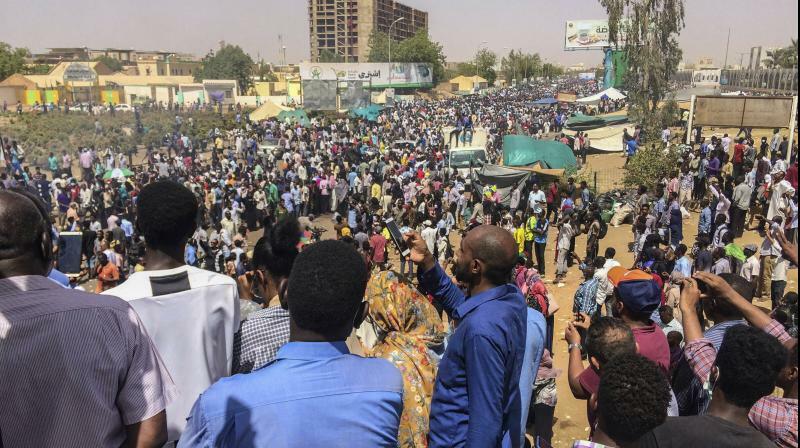 Khartoum: The Sudanese army will make an "important statement soon," state television and radio announced Thursday, as thousands of protesters camped outside the military headquarters in Khartoum demanding the resignation of President Omar al-Bashir. "The Sudanese army will issue an important statement soon. Wait for it," a television anchor said. State media offered no further details, as the rally outside the army complex entered its sixth day. Several military vehicles carrying troops entered the army compound in the early hours of Thursday, witnesses told AFP. The compound also houses Bashir's official residence and the defence ministry.